Huntsville, AL December 22, 2014 — NASHRM, the North Alabama Society for Human Resource Management won the Pinnacle Award this past November, given by the Society for Human Resource Management (SHRM) to its state councils and chapters for highly notable contributions to the HR profession. Created in 1991, the Pinnacle Award is the highest achievement SHRM state councils and chapters can attain, and it honors programs that exceed the standard activities of SHRM affiliates in enhancing the creation of effective HR management. 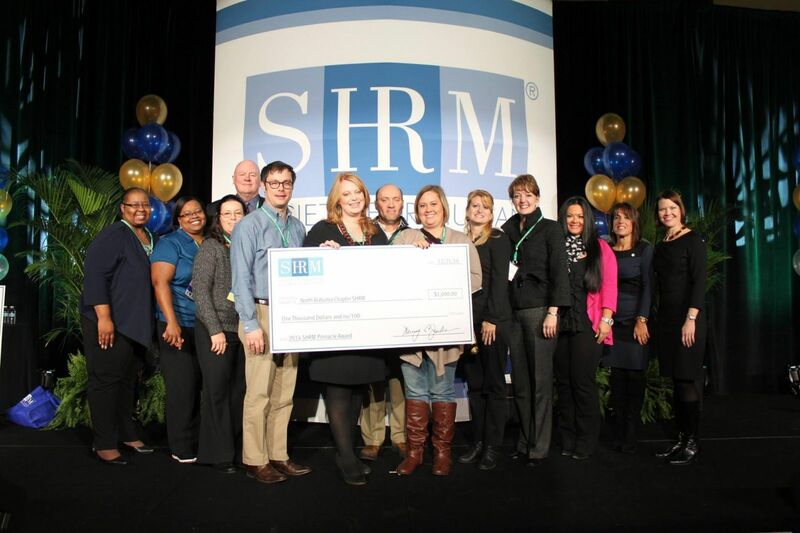 NASHRM was one of 12 human resource organizations from across the country to win the award. NASHRM was rewarded for the “Empowerment Through Employment Job Fair and Training” program. This program headed up by Mitch Williams and Renee’ Scruggs, Directors of NASHRM’s Workforce Readiness and Diversity/ Inclusion, provided for a two-fold experience, one for the job seeker and one for the HR representative. This one day event comprised of a half day job fair for job seekers with disabilities followed by a half day training program for the HR representatives to learn the ins and outs of the new regulations regarding disabilities. The job seekers were given an opportunity to find meaningful employment as well as resume critiquing and printing, while the HR representatives were able to recruit and hire individuals with disabilities on the spot as well as receive training from the government agencies auditing our companies. Winning programs selected from 67 applications received a $1,000 prize, sponsored by ADP Inc. The award was given at SHRM’s annual Volunteer Leaders’ Summit in Washington, D.C., which was attended by [NAME OF SHRM COUNCIL/CHAPTER MEMBER].